Highlights: Seljalandsfoss waterfall, Skógarfoss waterfall, museum of Skógar and The village of Vik. We begin the journey by driving over the plateau of Hellisheiði towards Selfoss town and onwards to the village of Hvolsvöllur where we have our first stop. If the weather conditions allow you will be able to see Hekla volcano and Eyjafjallajökull glacier/volcano on the way. 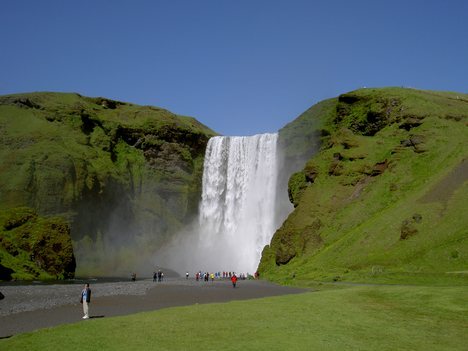 We continue along the south shore to the community of Skógar where you will have change to visit the local museum and the magnificent Skógafoss waterfall. 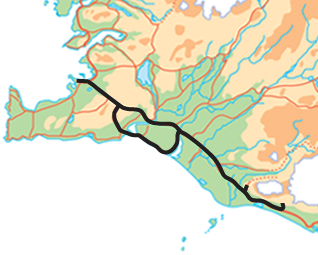 From there our journey takes us to Sólheimajökull glacier outlet where we will stop for half an hour. N ext stop is at the village of Vík which is located close to the ocean. Have a walk to the beach and have a closer look at the beautiful basalt sea stacks. On our way back to Reykjavík we will stop at Reynishverfi where you can walk down to the black beach with its beautiful pillars of basalt columns. We proceed onwards to Seljalandsfoss waterfall where you can walk behind. Before reaching Reykjavík we will pass through the charming villages of Eyrabakki and Stokkseyri. Pick up between 08:00 - 08:30. Guidance as shown under Guidance below. Entrance to the local museum in Skógar. Friday departures are also guided in German. Saturday departures are also guided in French if booked at least 18 hours prior to departure. Sunday departures are also guided in Scandinavian.